Our multimedia Studio Katolik was inspired by Father Francis Mary of the Cross, Founder of the Society of the Divine Savior (known as Salvatorians), who desired to make Jesus, the Savior of the world, known and loved by every person. Fr. Francis Jordan wanted to use all available and appropriate means of preaching the Good News to as many people as possible. This humble and poor Catholic Priest became not only an outstanding evangelizer, but also a forerunner of the Church’s teaching on mass media. In his times (19th/20th century) he strongly believed that every possible and proper avenue can be used to reach every person without exceptions, and to preach the message of Our Savior. Mass media are not only the means for spreading the Gospel, but also the “place” to evangelize. As Studio Katolik we want to fulfill the evangelizing ideas of Father Jordan on the internet and through the internet; as well as via studio and live recordings, production and promotion of audio materials and films. We are open to new initiatives and collaborations with those who want to make God known and loved by others. We have a professionally furnished studio, where we record and produce film materials. Our staff members are professionals who are passionately involved in our work and mission. - prepare promotional materials for publishing houses. 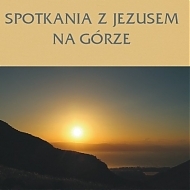 Studio Katolik in cooperation with such well known companies as Word on Fire and Grassroots Films, has already published Polish versions of: The Human Experience, Outcasts by Grassroots from New York; L'Apotre (by Cheyenne Carron Productions) and Catholicism Series (by Word on Fire Catholic Ministries).